Jojoba oil (liquid ester wax), is native to California, Arizona, and Northern Mexico. In the 1700’s Native Americans used the oil and seeds for treating sores, cuts, bruises, and burns; as a skin conditioner, for soothing windburn and sunburn; as a cooking oil; and as a hair or scalp restorer. A distinguishing property of Jojoba is the inherent structure of the oil, which resembles the sebum oil produced by the sebaceous glands on our scalp, making jojoba more similar to human sebum than to traditional vegetable oils. Sebum acts like a moisturizer for dry scalp. Jojoba oil, having a similar structure, helps in maintaining the required level of moisturizer in the scalp. The regular use of this oil gives strength to hair by providing moisture, making them free of split-ends and tangles. 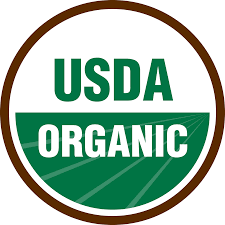 Organic Cold pressed Jojoba oil does not become rancid due in part to the presence of Tocopherols (Vitamin E) and primarily because of it’s wax structure which is never subject to oxidation. It is also full of plant sterols (plant fats) which help to boost the immune system in addition to preventing transepidermal water loss in the skin. Aging is primarily the result of dehydration of the skin, Jojoba oil works to prevent water loss. Organic Jojoba oil also helps hair growth by acting as a solubilizing (dissolving) agent and disbands the sticky build-up, diffusing through the follicles - this allows for hair growth without blockage. 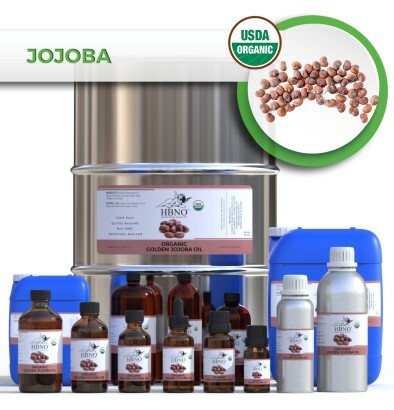 There are six general attributes which allow for optimal oil absorption into the skin, all of which cold pressed Jojoba oil possesses: Low viscosity, high unsaturation, low saponification number, short carbon chain length, low lecithin (Jojoba oil has no lecithin), straight chain molecule, and branched esters. All written material copyright of IL Health & Beauty Natural Oils Co., Inc..